The size of this can be amazing. But it has more than size. It opens perfectly almost every time. It has good ruffling, heavy texture, sunfastness, and great vigor. Add to that its exceptional size and you have a winner. 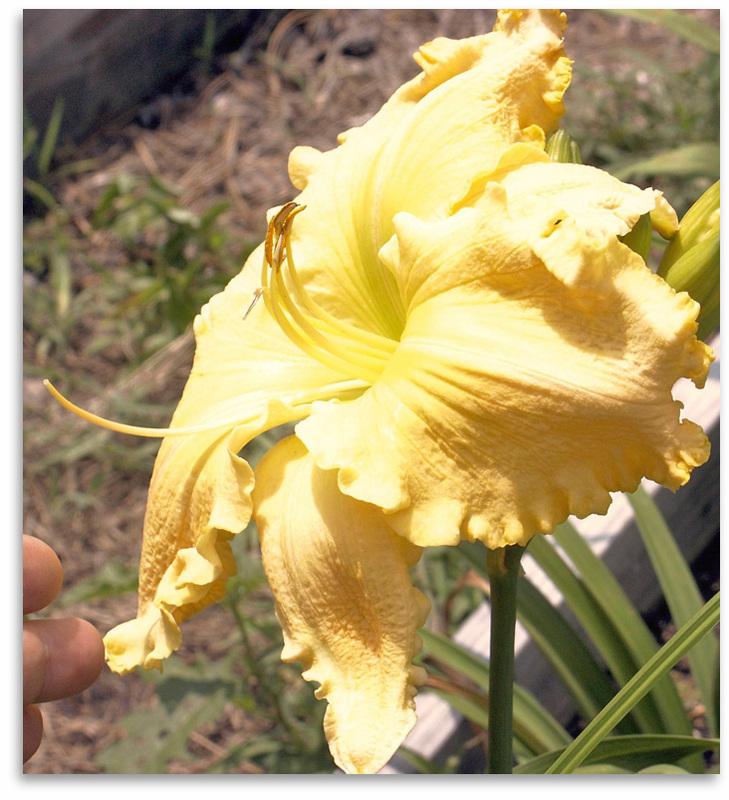 The parentage includes two remarkably large daylilies. Big Enough had elegant form and a nice clear yellow color. But not every bloom was impressive. And bud count was average. Tiffany Gold could be even more impressive. It was recurrent but did not have great branching and bud count. Tiffany Giant goes way beyond both plants in bud count and branching. It is also very fertile, which Big Enough was not. 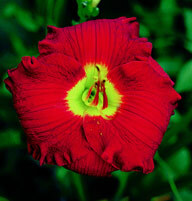 This daylily is proving to be a doorway to great size, form and extraordinary opening qualities in many colors.